New Delhi: India’s healthcare apex body NATHEALTH announced its new Leadership Team for the year on 22nd March. 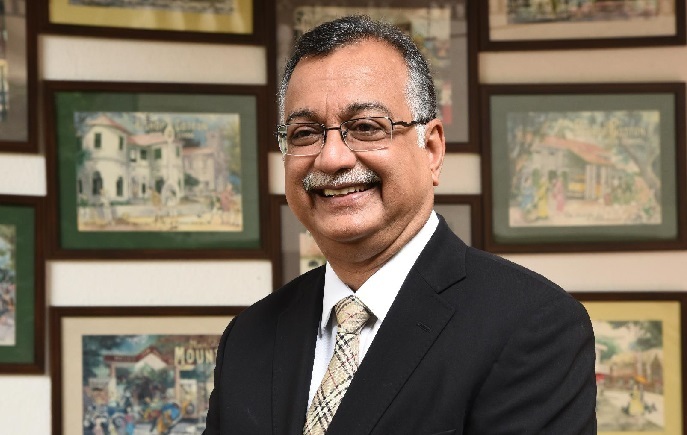 Dr Sudarshan Ballal, Chairman, Manipal Hospitals, Manipal Health Enterprises has been elected as the President of the federation. He succeeds Mr Daljit Singh, President, Fortis Healthcare Limited. Dr Sudarshan Ballal thanked the outgoing President of NATHEALTH, Mr Daljit Singh and warmly welcomed Mr Rajit Mehta as Senior Vice President-NATHEALTH, along with the other members of the Leadership Team – Ms. Preetha Reddy as Vice President, Dr Badhri Iyengar as Secretary and Dr Harsh Mahajan as Treasurer-NATHEALTH. Mr Siddhartha Bhattacharya was elected as Secretary-General. “Given these challenges in the healthcare scenario, the NATHEALTH should focus on much broader participation by various stakeholders and be the “Voice and Face of Healthcare” in the country,” the new President stated. Dr H Sudarshan Ballal was the best outgoing student (Blue Ribbon awardee) of the Kasturba Medical College, Manipal and a recipient of many Gold Medals in MBBS and M.D. and later had his further training in the USA and had the distinction of being one of the few to be triple Board certified in Internal Medicine, Nephrology & Critical Care. He has the rare distinction of being appointed as Professor of Medicine with St. Louis University School of Medicine (USA) and is also Adjunct Professor of Medicine at Manipal University. A clinician par excellence, excellent teacher and a compassionate Physician, Dr Ballal setup the first postgraduate training Centre in Nephrology in Karnataka and performed the first cadaver kidney transplantation in Karnataka. Previous articleIs it right to write off Gene Editing?